Lime And Lemongrass Carrot Cake: Love Cake? Leave to cool in the tin for 10 minutes before transferring to wire rack. While cake is cooling beat together all your ingredients for the frosting. Once the cake is cool, cut in half horizontally. Spread half the icing in the middle of the cake and sandwich together. Spread the remainder over the top and smooth with a palette knife. Decorate with lime zest and serve. 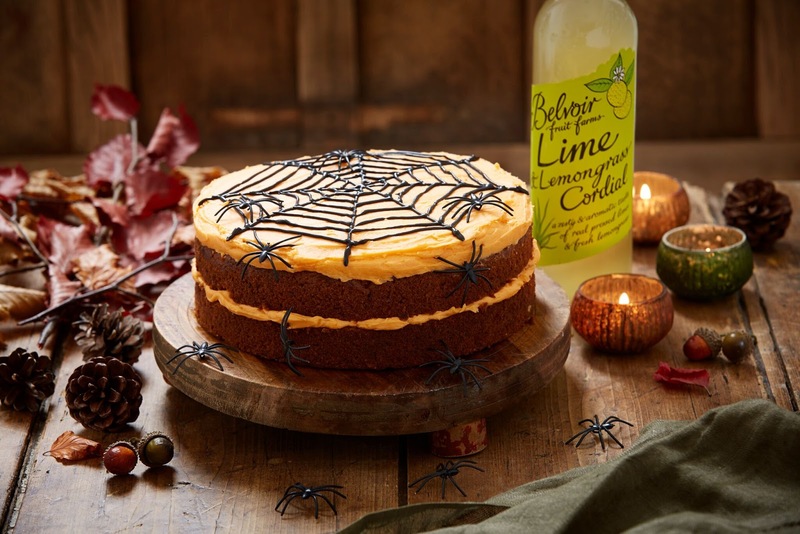 For more of a Halloween feel add orange food colouring to the icing and instead of decorating with lime zest, pipe black icing over the cake to look like a spider’s web, then finish with plastic spiders. Lime And Lemongrass Carrot Cake. Recipe and images courtesy of Belvoir Fruit Farms. 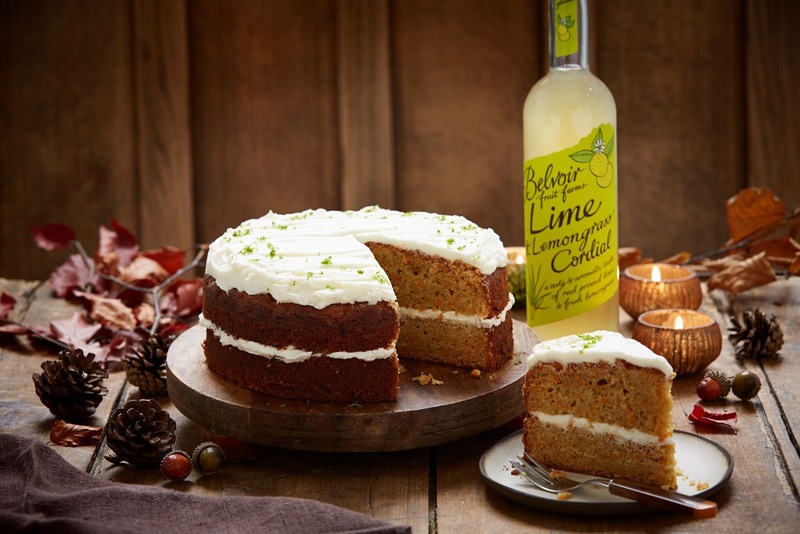 Fancy trying this Lime & Lemongrass Carrot Cake recipe? 25 Halloween Recipe Ideas To Try Out This Halloween. 17 Tasty Bonfire Night Recipes. "Where Has The Sunshine Gone? Summer Where Are U"
Oh no 🙁 I love anything with lemon in too Laurie. Wow, your cake looks fabulous and I love the Halloween version too! This is an interesting tweak to the traditional carrot cake and your pictures are amazing! Thanks for stopping by Sandra 🙂 Recipe courtesy of Belvoir Fruit Farms. Sounds delicious! 🙂 I would love for you to share this with my Facebook Group for recipes, crafts, tips, and tricks: facebook pluckyrecipescraftstips Thanks for joining Cooking and Crafting with J & J! Delicious and beautiful! Can't wait to try! Thanks for the inspo!